It won’t be long before I take delivery of Suzuki’s long-awaited GSX-R1000R. I was also thinking about choosing the new Blade and Ducati SuperSport as my MCN long-term test bike for 2017, but I reckon I’ve chosen wisely. Everyone’s talking about the GSX-R1000R and some tuners have even performed dyno runs on bikes already delivered here to race teams. The results look impressive. Not only does the new Variable Valve Timing engine make big power at the top, it has a stonking mid-range, too. I’ll take the bhp figures I’ve seen with a small pinch of salt until I get mine on the same dyno we’ve been using for over 15 years, to see how it compares with its tried and tested rivals. But the initial signs are encouraging. It felt S1000RR-fast when I rode it at its world launch at Phillip Island last month and lots of grunt accelerating off the corners, too. The VVT system is the same Suzuki uses in its MotoGP bike and that’s not exactly slow. 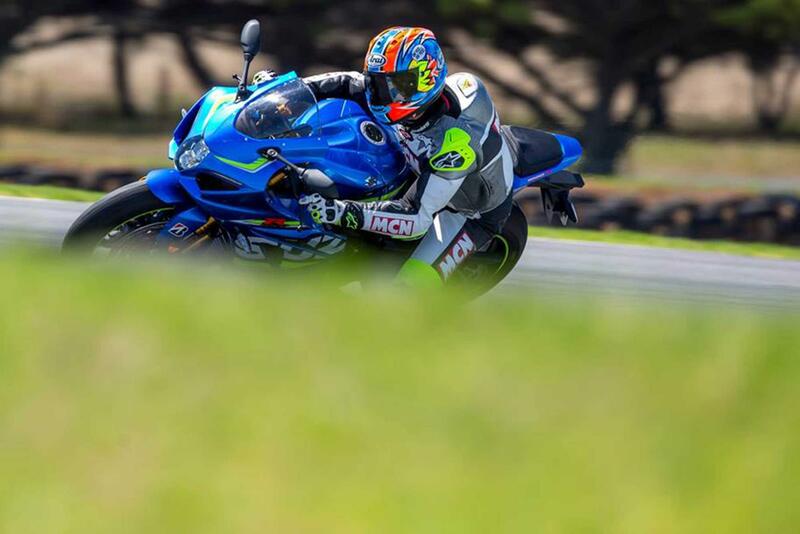 Suzuki GB are going all-out to put the GSX-R1000R on the racing map this year, too. 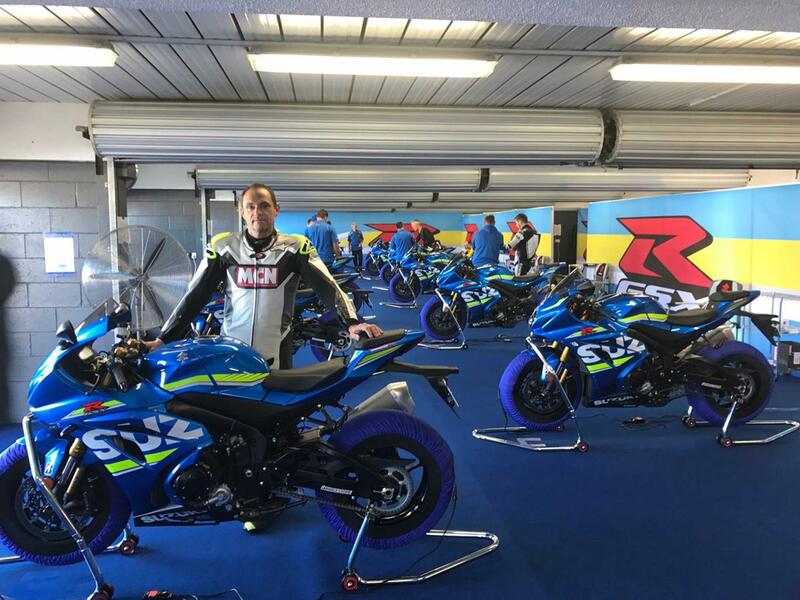 With Sylvain Guintoli, Taylor Mackenzie and Bradley Ray riding the new bike in BSB, Richard Cooper in the new-format Superstock 1000 class and of course Michael Dunlop on the roads, it’s shaping up to be the return of the GSX-R1000’s glory days. Away from the track I’m interested to see what the GSX-R1000R will be like for everyday riding. The ZX-10R I ran last year made for a great road bike, but was a little flat at low revs and wasn’t comfortable on long runs. I had an R1 the year before that and adored it in every way, except for the wrist-crushing bars and bum-numbing seat. I’m betting the GSX-R1000R’s VVT motor will be K5-flexbile and it feels exactly the same as a GSX-R750 to sit on. That’s one of my favourite bikes of all time and a machine I’ve happily toured across Europe with no aches or pains. Add to that the slick new gearbox, glistening electronics package, including and auto-blipper (absent from the R1 and ZX-10R) and that familiar GSX-R1000 growl when you stir it each morning and the Suzuki has all the makings of a superb street bike. I do around 11,000-miles a year on my long termers, so I’m looking forward to spending quality time with my new bike when it arrives sometime in early April. I’ll be attacking the best mountains in Europe, blasting around the Nurburgring and of course will do my fair share of trackdays, too. And when no one’s looking I’m going to turn off all the electronics and do what GSX-R’s do best…if you know what I mean? Click here to browse the rest of MCN's longterm bikes for 2017.